ASUS is a name synonymous with convergence. In 2011, they launched the first transformable Android tablet with a foldable detachable keyboard dock, turning it into a laptop. On the same year, ASUS introduces the first Padfone that integrates a phone into a tablet. In subsequent years, they also introduced hybrid desktop device that you can detach into a tablet which runs on both Android and Windows OS. Essentially, the Padfone is a smartphone that is capable of docking into a tablet docking station (which by itself does not run at all), allowing the user to interact with the device in a large screen. If you love the smartphone, but needed a larger screen, yet you do not like the hassle of synchronising multiple devices with the exact set of data and apps, then the Padfone is perfect device with no other competition in the market. Compared to the other Android phones? The Padfone Infinity offers a long list of customised features that enrich the multi-platform experience. – Full HD Super IPS Display. The 5-inch 1920×1080 phone screen is beautiful and crisp. The 10.1-inch 1920×1200 tablet screen also looks bright. – Dynamic Display. Your app can seamlessly play on as you switch from phone to tablet and vice versa, though not all apps support this. – 13-megapixel f2.0 Sony BSI camera. For photography buffs, this spec is more that what you could ask for. The quality is on par with the top camera phones in the market. There are several shooting modes and camera effects to choose from. I find the GIF animation mode unique. – Multiple Home Screens. Another unique feature from ASUS Padfone, you can create different sets of home screens, very useful if you want your device to present different sets of apps or look. For instance, you can have a “Work” mode containing all your widgets related to work. Then when you are at home, you can have a “Home” mode to show your news widgets. And switch to “Kids” mode containing all the games before passing the device to your children for their enjoyment. – ASUS WebStorage. ASUS is offering free 50GB storage for 2 years in a bid to pull users away from the popular cloud apps like Dropbox. 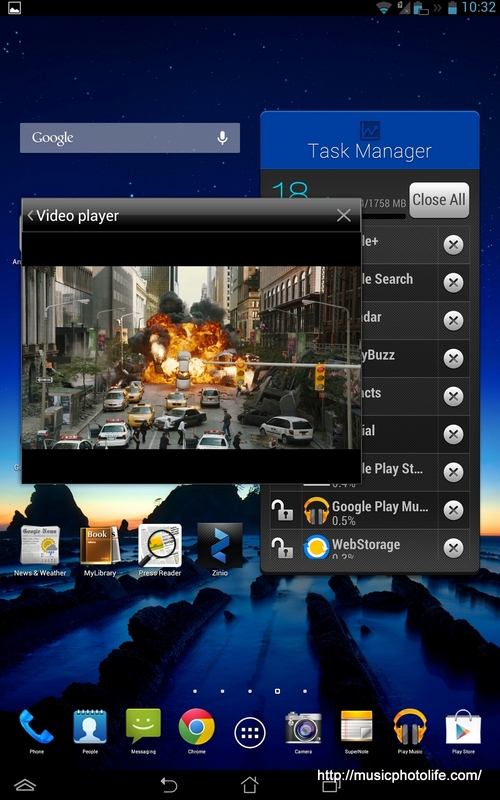 Many ASUS apps below also integrates seamlessly with WebStorage for cloud storage. – App Locker. When you want to prevent family members from assessing sensitive apps, use this feature. – ASUS Echo. ASUS version of personal voice assistant, allowing you to command the phone to do many things, like adjusting settings, take photos, report alarm, searching for contacts. – ASUS Story. Create photobook albums with this app. – ASUS Splendid. 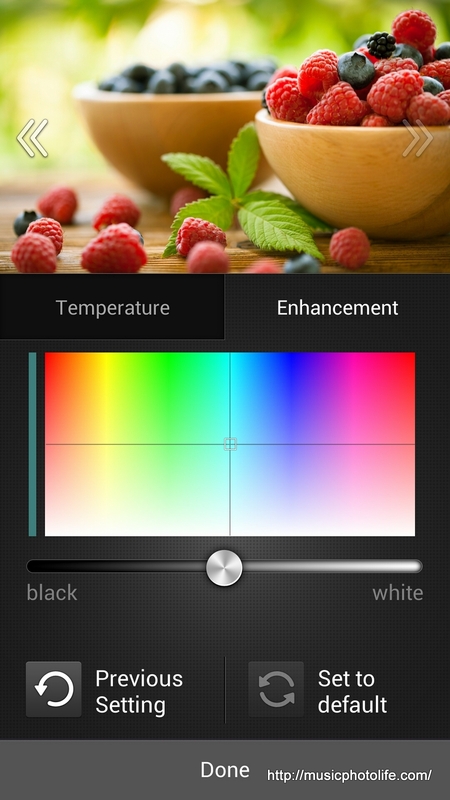 This app allows you to adjust the colour profile of your Padfone. A much-appreciated app for the photo-enthusiasts. – BuddyBuzz. This app is the social feed aggregator that displays your friends’ new feeds on Facebook and Twitter. – Instant Dictionary. This feature is embedded into the OS, allowing you to translate or explain any text in any screen you are in. – MyBitCast. This app is tha note-taking app similar to EverNote, but requires to login to ASUS WebStorage account. – Power Saver and Smart Saving. Many brands are introducing this feature in order to allow consumers to conserve battery, since many Android apps run heavily on background. ASUS one offers several customisations to suit your preference. – SuperNote. This is one of the more powerful apps offered by ASUS. Write anything on the huge screen and the app shrinks and aligns in a line. – ASUS Floating Widgets. 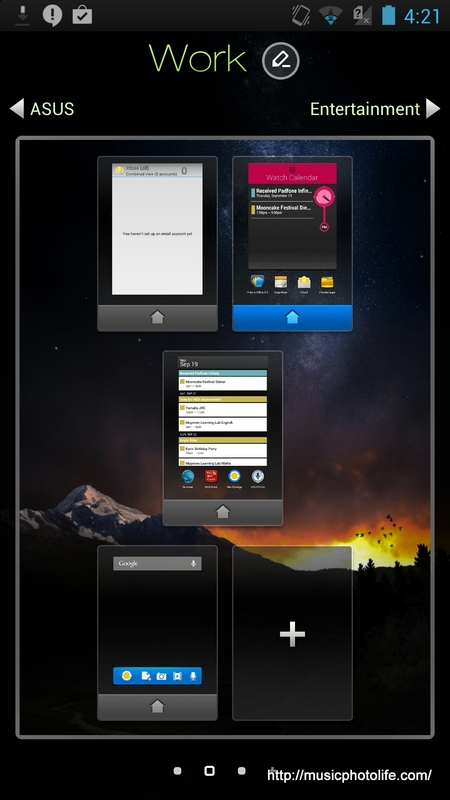 In the tablet mode, you can open up multiple floating widgets for multi-tasking. That’s a pretty long list, eh. New users will have a good time playing out all of these features. If it’s so amazing, why isn’t it as amazingly popular as iPhone or Samsung Galaxy? Most people do not like the idea that tablet dock does not run on its own, so you essentially have only one working device. On top of that, the dock costs as much as a full-fledged (albeit lower spec) tablet. With that, the target market segment becomes a little smaller as compared to the mainstream products. The Padfone is also limited by a built-in non-removable battery and no external microSD card slot. But the upcoming version of new Padfone Infinity will include a microSD slot. Yippee. 2 years ago, I wrote this blog proclaiming that it was my dream came true. The original Padfone even supports a keyboard dock, essentially make the Padfone a 3-in-1 phone-tablet-laptop device!!! Sad to say, the Android platform’s app development on the large screen is weak. Most of the popular apps are merely simple porting to tablet view, with huge icons or empty spaces. I was expecting the tablet to have similar look and feel as the browser equivalent. Yet when I do use the browser to access these apps, they feel sluggish and not so optimised. Also, on-screen typing on a tablet does not work for me, who prefers a hardware keyboard feel, because I have the tendency to rest my fingers on the keyboard. Another important factor is the evolution of large-screen smartphones that seem to work rather well. Devices like Sony Xperia Z Ultra, which is a huge 6.4-inch, feels surprisingly usable. Indeed, I find surfing on a smartphone less strenuous than on a large tablet, which basically displays similar content without any major optimisation on the layout of the processor speed – unlike an ultrabook. Perhaps thinking aloud, could a new hybrid device be looming in the horizon? A smaller-sized 6 to 7-inch smartphone dock with a detachable mini-phone just like the good old Nokia 8210? Or could Microsoft be devising their Windows Phone to be able to dock into a Windows 8-based tablet? Pingback: ASUS Padfone S LTE Review: Great Value – Music.Photo.Life. Pingback: ASUS Transformer Book V is a 5-in-1 Device – Music.Photo.Life.